Yesterdays)”, Garry Sharpe talks to Sabbat’s Martin Walkyier and Andy Sneap. The band are about to unleash the follow up to the high profile success of their “History of a Time to Come” debut. The damn (damned?) thing found its way into over 50,000 happy thrashers abodes and successfully launched SABBAT onto the top rung of the British speed metal ladder. 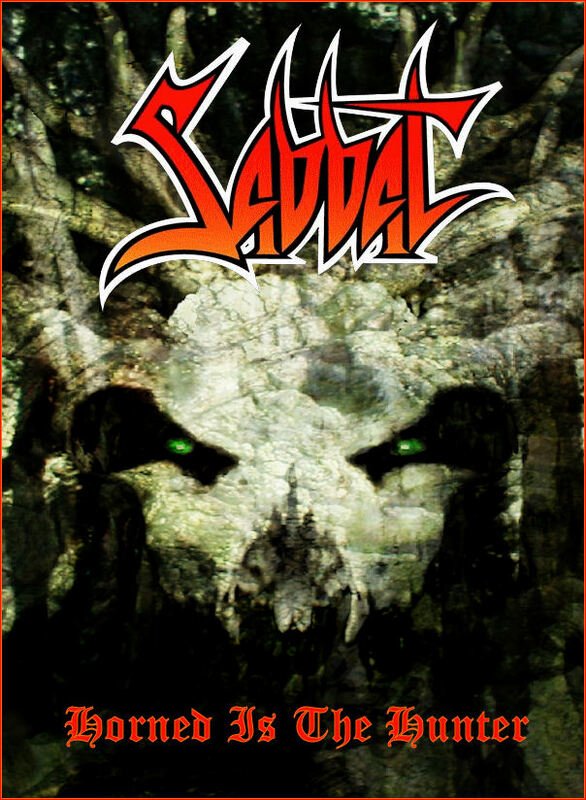 Now, anyone who knows me will confirm that thrash/speed metal isn’t exactly my favorite, but Derbyshire’s SABBAT gleefully break the rules and thus force themselves head and shoulders above the rest the pack. SABBAT, in my view, are blessed with a creativity and drive that can only win my outmost admiration. I was the first journalist ever to put pen to paper in praise of this band and believe me it’s extremely gratifying to see that diehard STATUS QUO fanatic (Andy Sneap as he appeared at the time) who thrust a glaucous cassette into my hand with the command “Listen to this” before turning tail blossom into a worldwide power act. At the time I likened Martin’s vocals to a hippie being violently sick underwater. Having had no comeback on that description thus far, I take it the man took is as a compliment! Obvious question first. What have you got to tell us about your new album, “Dreamweaver (Reflections of our Yesterdays)”? “It’s a concept album,” Martin takes up. “It’s based on a book called ‘The Way of Wyrd’ by an American author named Brian Bates. It’s about a Christian missionary in the North of England who, a thousand years ago, is sent down to the South of England to learn about the pagan ways and in doing so determine the best way in which they can convert the pagans to Christianity. Having taken on this mission, he travels down south expecting to find a guide waiting for him. The first night in the wood, where this meeting is to take place, no one turns up and he’s left there on his own. “Originally we were going to spread the concept over one side,” adds Andy. Have you had to fit any songs into the concept? “No. They were all written with the concept in mind,” answers Andy again. “What’s also nice about the Noise studio is that they’re very open to the individual requirements of their own bands so you can create the right kind of atmosphere in there,” adds Roy. “What he’s trying to say is that we can get the drugs in,” beams Andy. As a band on your first tour, what exactly did you discover about touring? “How bad everyone can smell,” says Martin in all seriousness. “How annoying Germans can be,” adds Andy with as much conviction. SABBAT are certainly “a little more diverse” as Andy puts it. Here’s hoping they can retain their integrity and character as they develop further. SABBAT could well develop into a true worldwide metal act and their second album, released by Noise on May 15th, should provide a useful stepping stone.